There could be many reasons why you would need a loan in Germany. As your life as a foreigner develops, so are your life projects! As a result, you might need a mortgage to buy a house, a credit to get a car or need a little bit money to make your business idea come true. Whatever it is, this daunting topic is quite a wild chunk to approach, especially when the German banking words mix in! A loan in Germany works like anywhere else in the world: you borrow money from a lender and agrees at which rate you will repay the loan every month. The lender profits from this deal by adding a fee on top of the amount, which will be included in each installment you pay back. Generally speaking, the rate also reflects how the lender trusts in you & the risks he takes by lending you money. The lower the risks, the lower the rate. The lender assets the risks depending on certain factors such as; current income, marital status, age, health profile, saving, bonds, stock, estate ownership & other sources of income. Depending your country of origin, you might feel this investigation is either quite invasive on your privacy or just simply normal business. It is important to say here that German people are not big on credit and owning money to somebody. They are for example notably known for usually not owning their house, not using credit cards and their amount of debt per capita is envied by numerous countries around the world. Lenders are thus extra-careful when its come to giving a loan in Germany. That safe won’t open that easily! When looking into it myself, i was not really so knowledgeable on all the different options to get a loan in Germany. Here are the options that i looked at during my research. 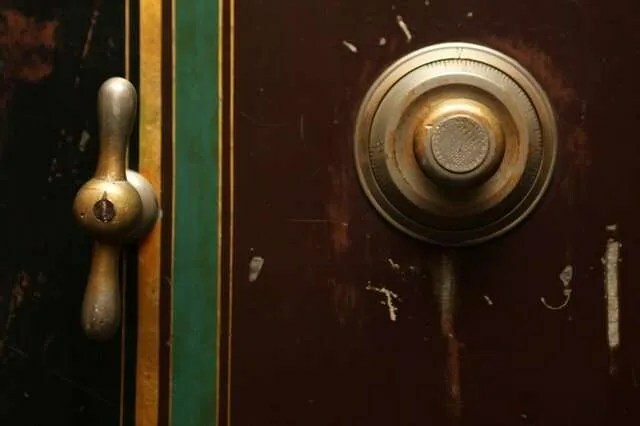 There is no secret; the first option that comes to mind is to go knock at your bank’s door. This is certainly a good option when you are looking into borrowing large sums over a long period of time, to buy a house for example. For this particular case, you can even subscribe to a Bausparvertrag (more on this at the end of this post). If you have been with them for a while and some of your assets as with them too, that’s an excellent trust factor which might help gain favorable conditions. I wouldn’t recommend it for smaller loans as the fees are usually not competitive with other options listed here. In others words: if you want to finance a car, a honeymoon, renovations works or another consumer credit, look somewhere else. There is also a pretty post made in cooperation with Hypofriend on what German banks usually don’t tell you when applying for a mortgage. It’s a good read this way. People often don’t take advantage of this but a loan in Germany is a product like any other: you can shop around! No need to stick to your bank. It is strongly advisable to have a look a comparison websites who can give you a quick idea of what’s possible in your current situation. There are numerous platforms. I’d recommend to check all of them to use competition to your advantage. The only drawback is the amount is often limited on there. If you are looking into buying a house or an apartment (guide here for that btw), a great alternative might to use innovative platforms like Hypofriend, which allows you to have a digital advisor working 100% for you, capable of guiding you to the best mortgage for your case. Through a mix of clever algorithms and personal touches, compare the best offers, check how much you can afford or compare rates on the market. It’s pretty neat solution instead of knocking on all door. Huge savings of time, money and frustration can be done. All of that with no strings attached too. Sometimes you just need a short-term loan in Germany to make both ends meet after an exceptional expense like paying a deposit for example. Although it is usually advised to turn to friends and family for such cases, you can also use such services that can help out if you need a bit of cash, and fast! Although the rates are a little higher than for longer term loans, the payment occurs over a month only, limiting the risk to go overboard. 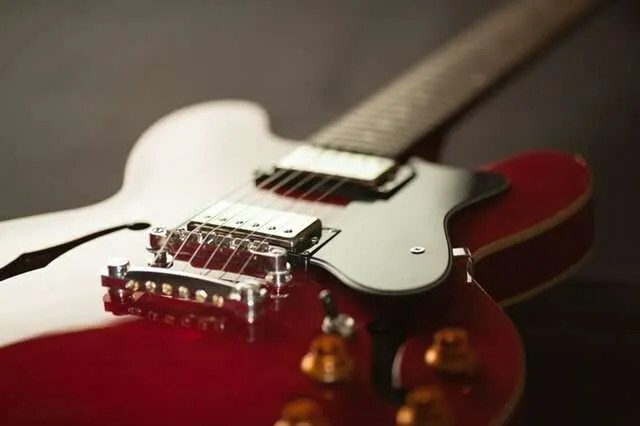 If you need a relatively smaller loan, for example for a new instrument to pursue your music career, a comparison website might be a better option instead of your bank. Banks make deals for the long-term prospect, which means that they prefer when their customers remain in Germany for many years to come. Germany is a well-known stable environment with good prospects. It increases the chances that you have enough income to pay-back your credit. 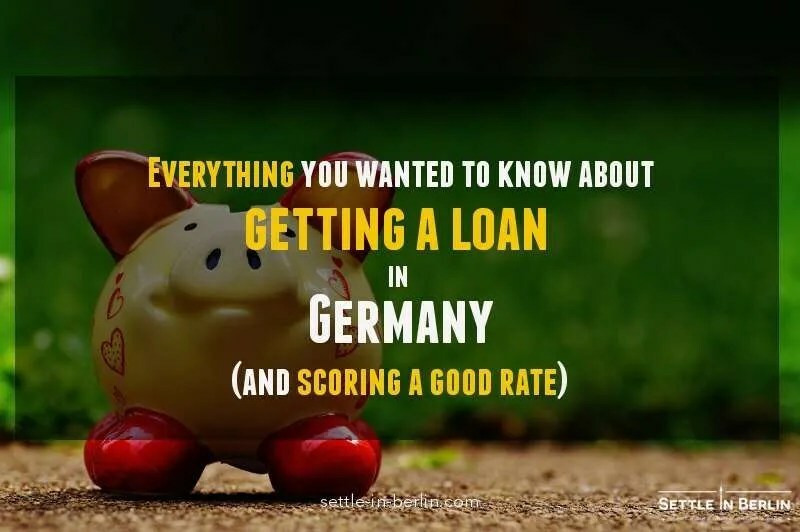 For some of us, it might be harder to get a loan in Germany as a foreigner because coming to Germany led to an unstable situation that impacted our SCHUFA score in the very beginning. It takes times to stand up on our feet and we might have left unpaid bills in the meantime. Let’s not fool ourselves, it’s harder to get a loan in Germany as a foreigner than it is for a German citizen. In a nutshell: Being a foreigner is seen as an instability factor for banks which look for reliable profiles. EU citizens seem to be largely not concerned by this bias as there is a common EU banking framework reassuring the banks. For others, the only additional paper to bring to the table is a residency permit which runs longer than the full duration of the loan. However, if you are non-resident, you can only borrow up to 60% of the total value of the loan in Germany, instead up to 80% for residents. Bausparvertrag: Special type of state-regulated contract that allows you to start saving money while agreeing to a mortgage scenario. This allows to agree on an interest rate now which can be beneficial if it raises in the future. Baufinanzierung or Immobilienfinanzierung: Broad term defining a loan in Germany that is aiming at financing the purchase of a flat, house or other, or even its construction. A Bausparvertrag is part of that category. Whatever you buy then becomes a safety item the bank holds until you have paid off all your debts. Autokredit: As the names suggest, this is interesting for people in the need for a vehicle. Privat Kredit: The term defines all smaller German loans you would use to go on holidays, finance a new home cinema or buy furniture. Umschuldung Kredit: This might be useful if you are struggling with your current debts. It allows you to combine all your current loans together and refinance them through a single one with more manageable installments, usually over a longer period of time. Whatever the type of loan, some loans in Germany take your creditworthiness into account and some don’t. When they do, it is beneficial to people with good SCHUFA scores resulting in a lower interest rate. This is called bonitätsabhängig (creditworthiness-dependent) or bonitätsunabhängig (creditworthiness-independent). It’s a useful term to know if you have a bad SCHUFA score; prefer loans that don’t take this into account. Even if you are familiar with how loans in Germany work, the language barrier might not help to understand the offers you will consider. As a reminder, i listed here some keywords you might need during that process. Sondertilgung: this is when you decide to repay a good chunk back of your loan outside the normal schedule. Some banks might charge you extra if you do that. Keep an eye on it. Believe it or not, but the sole fact of requesting a loan (Kredit Anfrage) at the bank negatively impacts your SCHUFA score, even if you don’t take it, as it is registered in your record. To avoid this, make sure to ask for the conditions instead (Konditionen Anfrage). Loan comparison websites are safe for that matter; they might mention that they are “SCHUFA neutral”. To finish my own personal story, we ended up signing a Bausparvertrag to take advantage of very low interest rates at the time in the Eurozone. We are happy about this decision to this day; we have a plan for when the timing is right and we want to make a move. Good luck with your situation and don’t hesitate to mention in the comments if anything is unclear. Agreed with Michael about LoanLink as well. The service provided by them was way beyond my expectation. Being a non native German speaker, it was difficult for me to find out the exact personal information and forms I have to provide for my mortgage application. Mortgage brokers at LoanLink, especially Basar, guided me through the whole application process while showing great attention to detail. Not only did he have great patience with my indecisive mortgage selection, he also explained all the available options thoroughly while taking my situation into account. I cannot possibly recommend LoanLink enough! I recently used Hypofriend to check the German mortgage rates online, seems comparable to Loanlink but they offer a nice comparison tool. I spoke to their advisor Stephan and he assisted my wife and I in the entire journey. In the end we went with Hypofriend over Interhyp simply because it felt like they put more time & effort into the entire tailoring process.